from SolidWorks. ST6’s Bulk Data Migrator, which was expanded with the update, is designed to help make the transition from SolidWorks to Solid Edge seamless – or to make it possible for users of Solid Edge to work with clients who may still use SolidWorks or other MCAD systems. ST6 boasts that the Bulk Data Migrator “simplifies migration of competitive data to speed adoption of a stable CAD platform while protecting intellectual property.” Heimgartner put these claims to the test and found a number benefits in the migration process. Getting Started Resource Library. ST6 has a SolidWorks Migration Wizard (and also wizards for other MCAD solutions) with an associated resource library that provides excellent technical support. Specific and fast transfer process. Before transfer begins, the wizard gives you an option to save changes made to the configuration file to be saved to the existing or a new file. 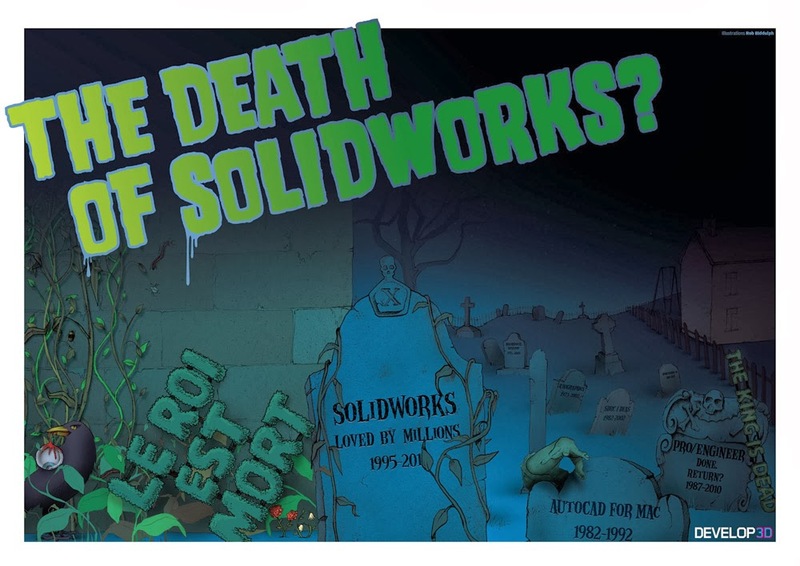 As the migration runs, SolidWorks opens up and cycles through each part and saves them as a DXF file. Heimgartner found that the migration of 30+ files took under 10 minutes. Customizable interface. ST6 has a customizable interface which can be modified to be very similar to SolidWorks, making for a much shorter learning curve. The Command Finder is also available, which allows former SolidWorks users to type in commands from SolidWorks to find the Solid Edge equivalent.